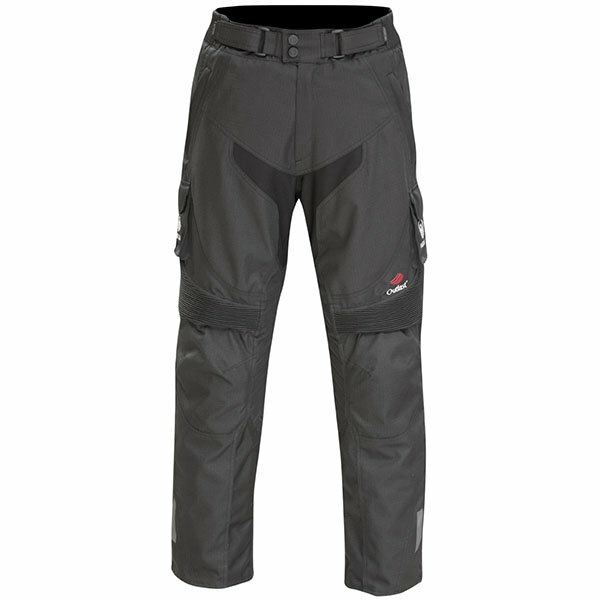 I went into this review with limited experience of Merlin gear so I was interested to see how the trousers stacked up. Pretty well as it turned out! 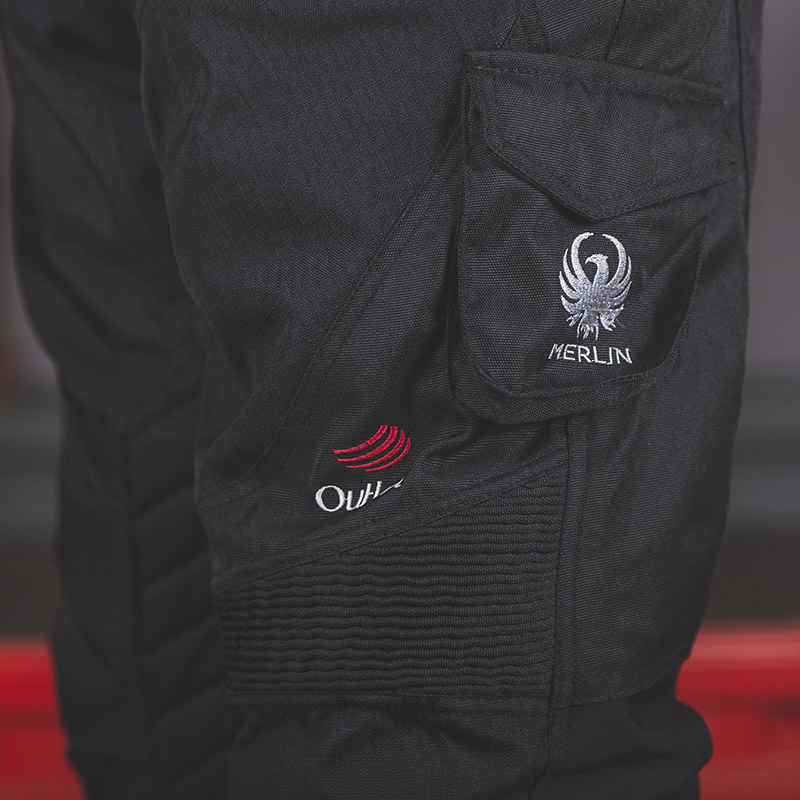 The Merlin Outlast Peake jeans are made from 600-denier polyester with ripstop panels. 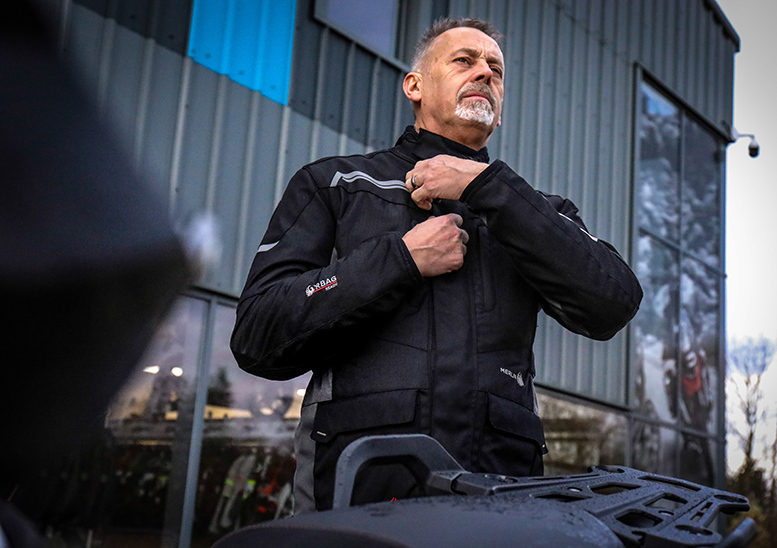 Waterproofing is provided by a Reissa breathable drop liner, while soft CE-approved hip and knee armour supplies impact protection. 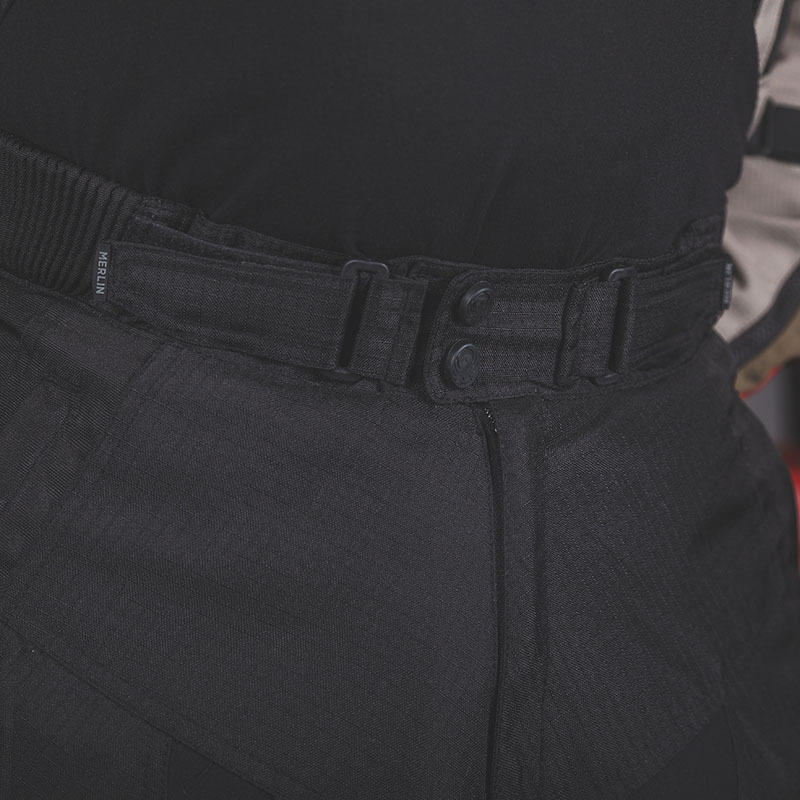 Elasticated stretch panels at knees and waist help with fit and for those who want to attach a Merlin jacket there’s a six-inch connection zip incorporated in the rear. The trousers are fastened by a gusseted zip and two press studs, with a Velcro fit adjustment strap each side of the waist. Two front hip pockets swallow smaller items, including a Samsung Galaxy S9 mobile, so are of a useful size, and a small external pocket on the left thigh is useful for a card or small change. The jeans give a relaxed fit and feel comfortable from the off. I usually take a 34in waist (often with a belt) and have a 34in inside leg. I found Merlin’s size large with a long leg to be ideal once I’d used the velcro adjustment belt to take up any slack. 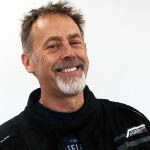 The armour was comfortable and once on the bike, stayed at the right height. 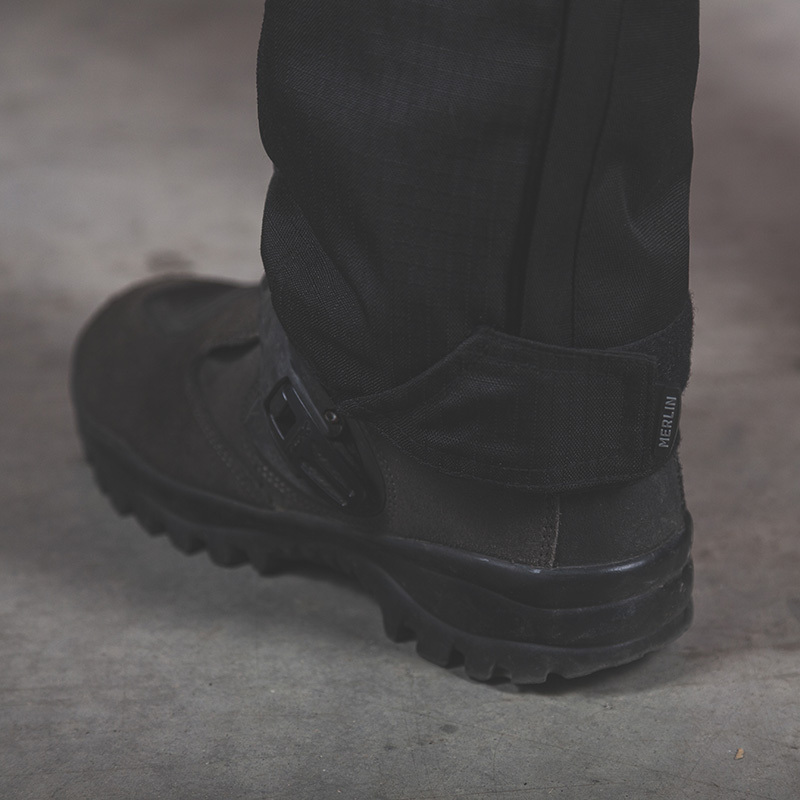 Pulling the bottom of the trouser leg over boots is a cinch thanks to generous room given by the zipped gusset and a velcro strap allows you to trim the desired amount of ‘trouser flappage’. 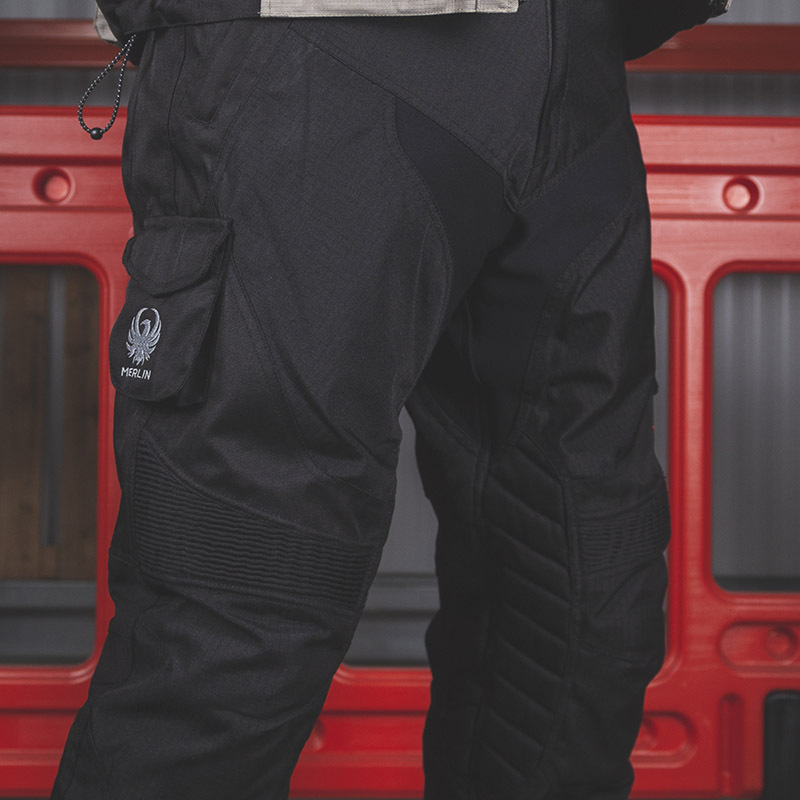 A removable Outlast thermal liner is secured via a 360-degree zip inside the waist area with loop and stud at the trouser bottoms. Being predominantly a wearer of fitted leather jeans and the owner of a pair of crow’s legs, I found the fit towards the baggy side, particularly with the thermal liner removed. This could of course be cured by a few steak dinners combined with squatting exercises, but there’s no need to bother as I didn’t find the bagginess detracted from the comfort. The jeans are surprisingly cool in summer (with the liner removed) and I can feel the air cooling me down as my speed increases. Although the liner is marketed as breathable I found things warming up when walking or stood in the sun. Having more room in the legs did help keep things comfortable. It was when temperatures plummeted that these jeans came in to their own. 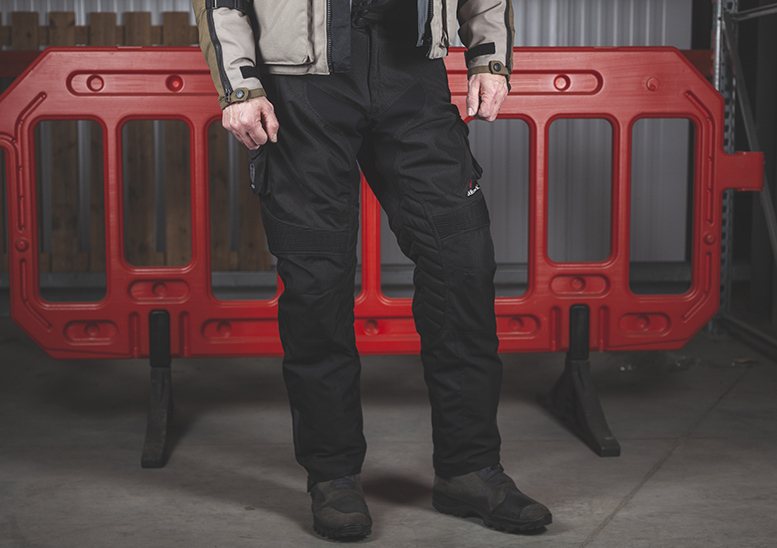 With the Outlast thermal liner fitted, it feels like I have a sleeping bag around each leg! They’re cosier than a cosy thing and, to date, the warmest pair of jeans I have ever ridden in. Although I have not worn these in hour after hour of heavy rain, I have so far remained dry during every downpour I’ve experienced. The only small niggle for me was that the two waist poppers didn’t feel particularly secure and would occasionally come undone when moving around off the bike. This is, however, more of a grumble moment than a deal breaker. 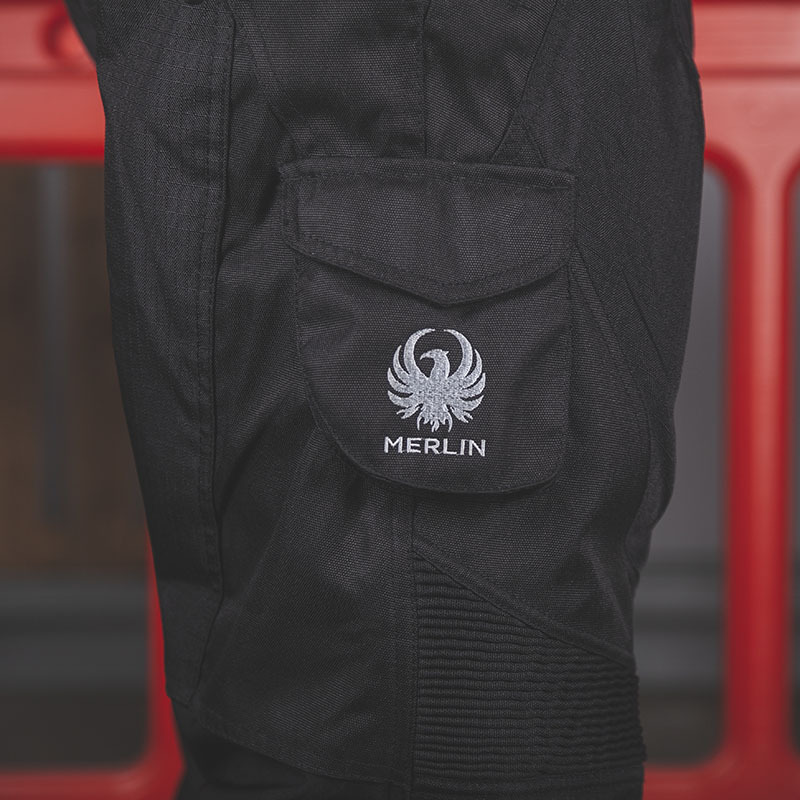 The Merlin Peake trousers are waterproof, comfortable, warm as toast in icy weather and have proven a very competent pair of riding jeans. Good fit, very comfortable but mesh paneling or vents for more breathability would be a real bonus. Level 1 CE knee/hip armour provides good solid protection but for me the bagginess of the jeans gave the knee armour a degree of sideways movement. These have survived everything wet so far – no complaints here! Well put together but the strength of the waist poppers was a bit weedy. What I found as bagginess in the legs will probably be fine for larger guys. They’ve done a few miles, but the jeans still look in very good condition. This is a pretty average score for textile jeans. The addition of venting of some type would make these a true four-season jean.